Size (millimetre) M1.6 upto M52 / 10ba upto 2.1/2". Diameter (Millimeter) M1.6 upto M52 / 10ba upto 2.1/2". 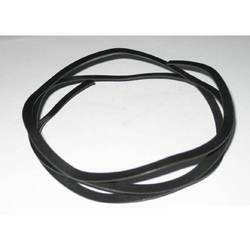 We are a leading manufacturer and exporter of Spring Washer. Size (Dia): M1.6 upto M52 / 10ba upto 2.1/2". Metal Washer are offered by us for various purposes in different patterns, dimensions and materials. Metal Washers are manufactured by our expert team by employing latest techniques and methods to bring out flawless products. Best quality Monel, Inconel, Duplex Steel, etc. are used in their production to assure desired properties in the Metal Washers. Diameter: M6-M64 1/4" - 2-1/2"
Material: 304,304L, 316, 316L, 310, 410 Monel, Inconel, Duplex, etc. 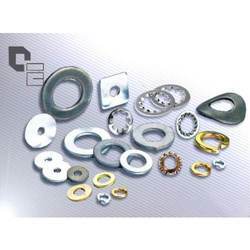 From our wide consignment, we are engaged in supplying "Cone Washer"
We hold proficiency in manufacturing, supplying and exporting supreme quality Wave Washer in the market. Our wave washers are designed to provide excellent support and protection from two plates or structure against friction. 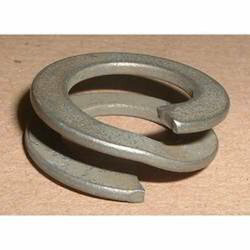 These wave washers also serve as flexible spring for various industrial products. Our wave washers are highly efficient and known for excellent strength and durability. 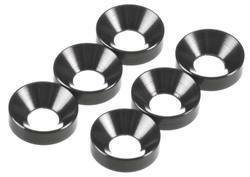 We are offering our excellent range of wave washers to our clients at very affordable range of prices. Size (DIA): M1.6 Up To M52 / 10ba Up To 2.1/2".